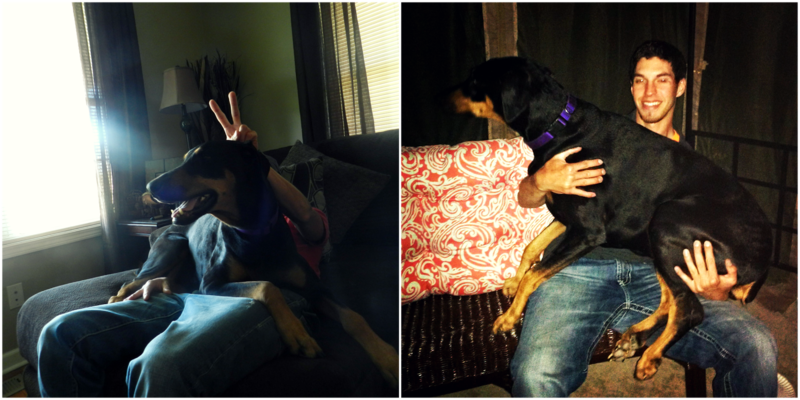 Without further ado, I introduce to you my fur-baby - Lily, the doberman. You will see a lot of her on here, because she demands takes up a lot of my life. 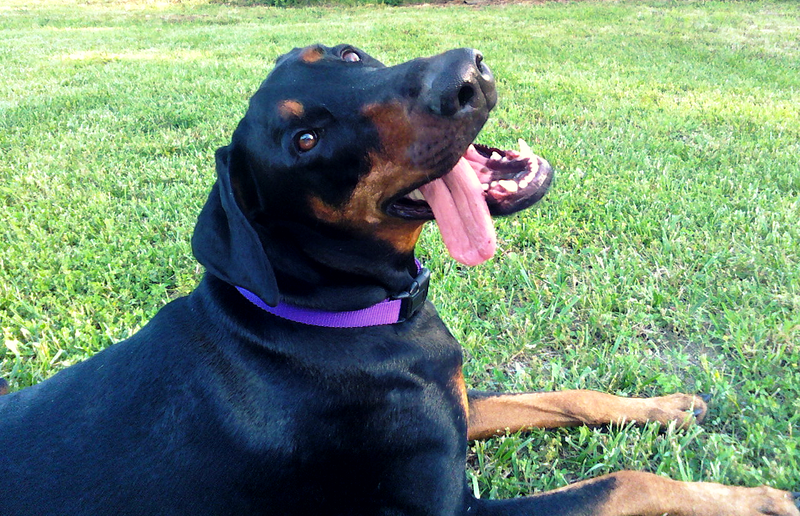 She's a full-blooded doberman (I didn't crop her ears because I loved her cute little floppy ears) and her registered name is Julie's Sweet Lily. Fitting, don't you think? She's an old woman - 8 years old! But she's as spunky as she was when she was only 1. Here's a list of things she loves (sorry, I'm not sorry about all the photos in this post). 1. She loves to be nosy. 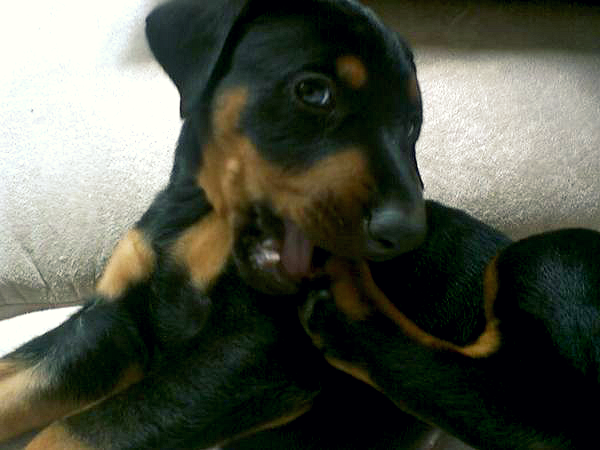 In her younger days she loved to be nosy and chew stuff up. Anything. Everything. I worried about her, and my shoes. Ha! She's gotten better, but sneaking into the trash is still a monthly occurrence. This is the only picture I have of her as a puppy, because she chewed up my cellphone and SD card that contained all of her photos. She was not sorry. Look at that face! 2. She loves to nap. And usually spread eagle. If she's napping and you disturb her, there will be consequences - she employs the silent treatment often. She also hates my morning alarm as much as I do. 3. She loves her laser. I call it her "dot," and if you say that word to her, you better be able to produce that laser or she will cry and whine until you do. She's a mess. 4. She loves going for "rides." If you say the word "ride," she must be outside by the car in less than a minute or she will torment you to death. She knows too many words! 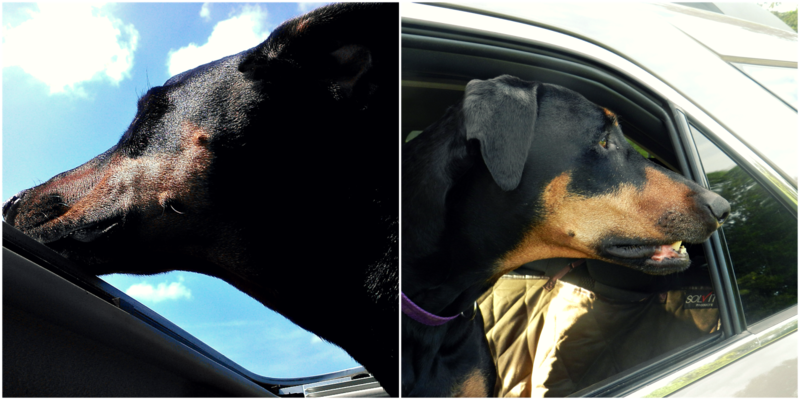 Like most dogs, her head MUST be out the window at all times while going for a ride. 5. She loves a good outdoor adventure. My family has a fairly large farm (and by farm, I mean a large bit of land that's used for hunting, fishing, leisure; not an actual farm) that I take her out on to walk and run around quite often. She loves to chase deer, get muddy, and just run free. 6. She loves to dig. This goes with her love of outdoor adventures. It's not a good adventure without a little digging. The girl could dig to China. 7. 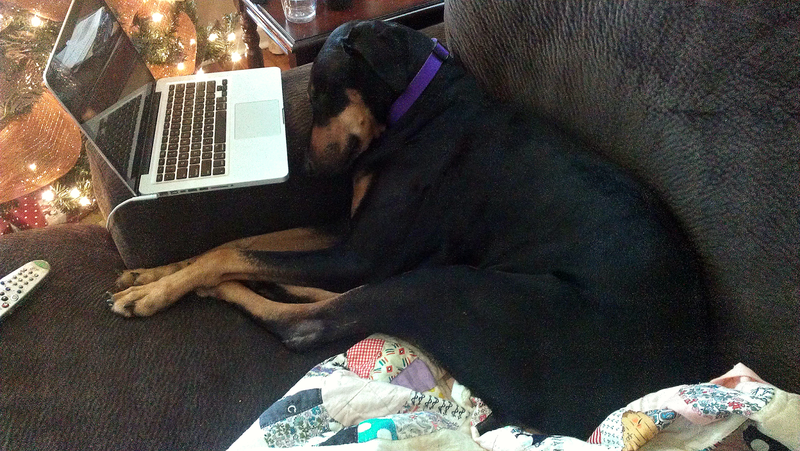 She loves to assist me while I shop online, although it wears her out. She has to be smack-dab beside me if I have my laptop out, and steal my seat when I get up. 9. 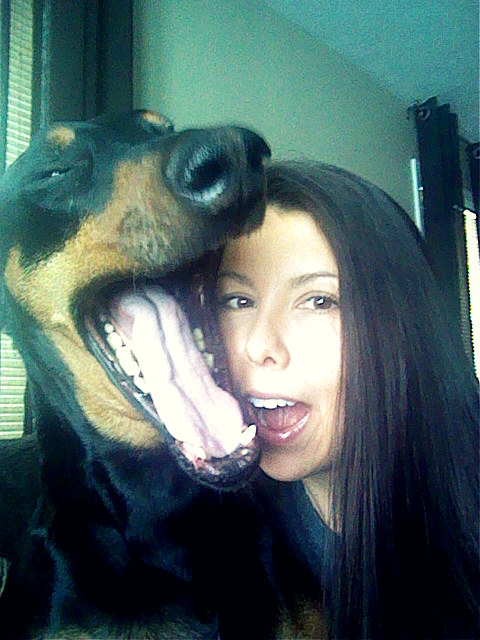 She loves being a goofball with me. And I swear she actually laughs, or maybe even cackles. Here's proof. 10. She loves my boyfriend just as much as I do. And he loves her right back. Do you love your dog like a person too? She's fantastic! I love dogs so much! And cats! And bunnies....well, all animals! AWWW I love all her pictures. She is beautiful. I like that you didn't have her ears clipped, I like floppy ears too! !